Kintsugi Wellness Book Review and Miso Mushroom Avocado Toast Recipe — Copina Co.
Hi guys! 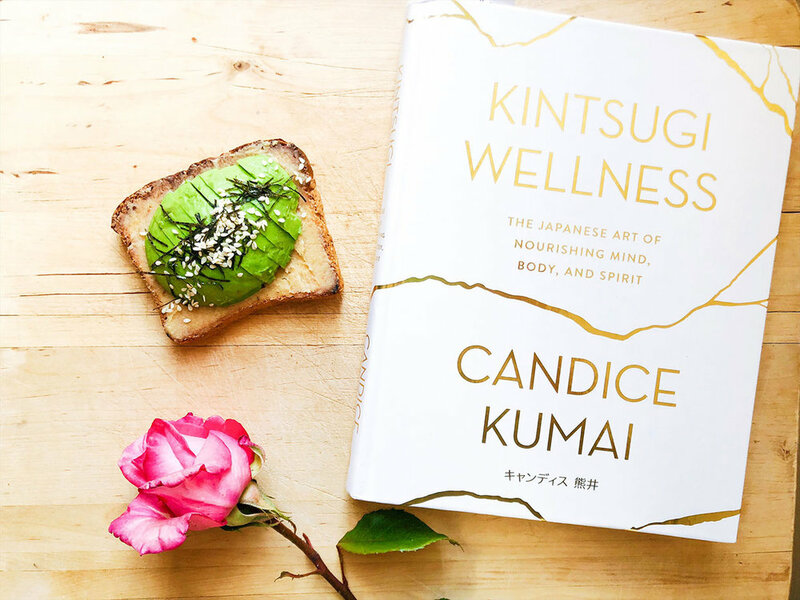 I wanted to introduce you to a new book club section of the site with one of my favorite books of 2018: Kintsugi Wellness: The Japanese Art of Nourishing Mind, Body, and Spirit ($30) by Candice Kumai. If you’re someone who is looking for delicious glow-worthy foods and advice for healing the soul, you’ll love Candice’s book. KIntsugi Wellness is about how the embracing of our imperfections makes us more beautiful. Through poetic and honest storytelling and insanely delicious healing recipes like miso avocado toast, Candice shows you how to accept yourself for who you are and connect with a more beautiful way of living. The simplest (and most delicious!) step to applying the lessons of Kintsugi in your own life is to incorporate healing foods into your daily routine. That means nourishing our body with fresh, whole, and delicious foods and respecting its needs. Candice successfully made Japanese-style cooking fun, delicious, and wonderfully simple. Cooking her recipes for a few weeks brought more shitaake, matcha, miso, nori, and rice back into my diet and inspired me to try things I’ve before made like onigiri stuffed with avocado and shitaake and miso-roasted sweet potatoes. This is food to heal the body and soul. One of my favorite recipes from Candice’s book is her insanely delicious miso avocado toast. I made it for breakfast about 3 times in the last week alone and just can’t get enough of it. Below is a little twist on the book’s recipe that I made by adding mushrooms, but encourage you to discover your own favorite version.